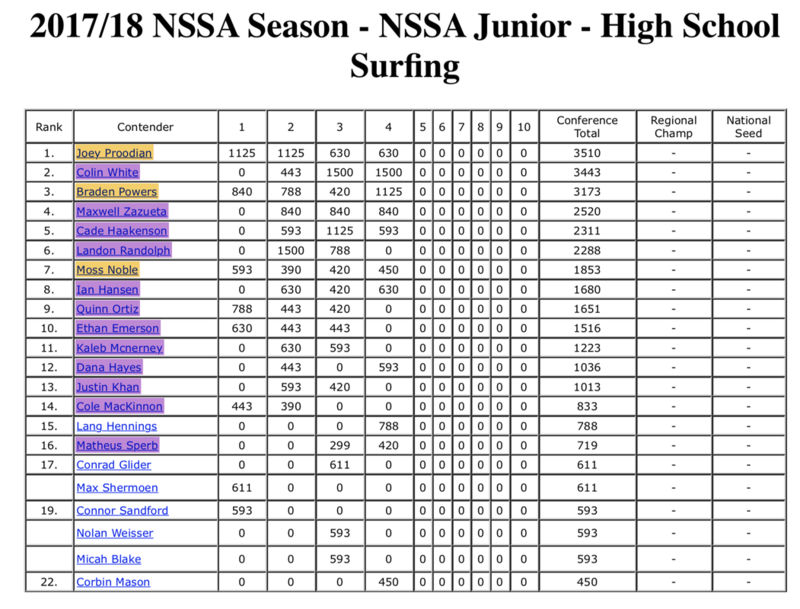 CONGRATULATIONS TO THOSE OF YOU WHO QUALIFIED TO PARTICIPATE IN THIS YEARS NSSA JR CHAMPIONSHIP. THE EVENT WILL START AT APPROXIMATELY 7:30 AND END AROUND 1:00PM. 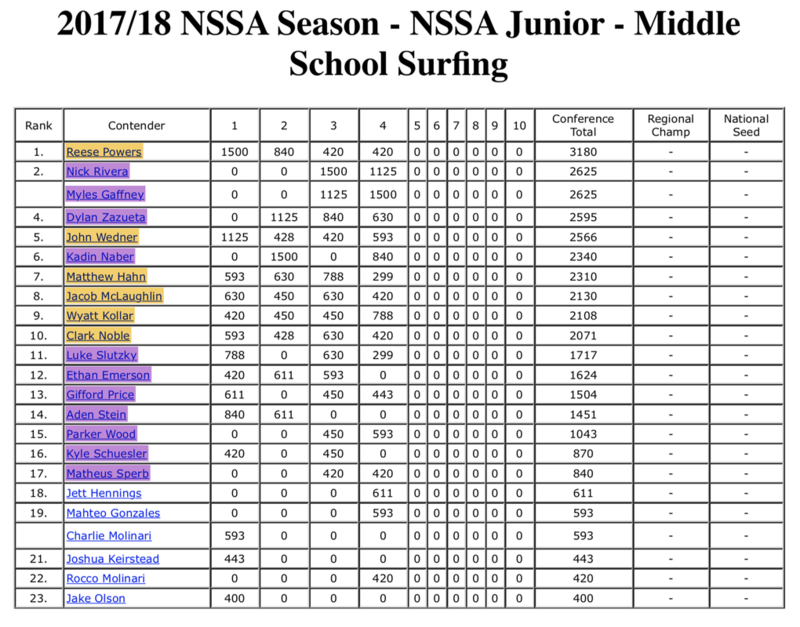 WE WILL HAVE A PARENT HEAT AT THE END OF ALL DIVISION FINALS,SO, IF YOU ARE INTERESTED, MOM'S OR DAD'S PLEASE SEND ME AN EMAIL STATING SO, NO CHARGE! ALL CONTESTANTS WILL RECIEVE A LUNCH OR LUNCH COUPON AT THE EVENT AS WELL AS A CHAMPIONSHIP T SHIRT. IF YOUR NAME IS HIGHLIGHTED IN THIS COLOR YOU WILL RECEIVE A SPECIAL $20.00 DISCOUNT CODE IN YOUR EMAIL TO USE AT REGISTRATION. YOUR COST FOR THE CHAMPIONSHIP IS $45.00 PER EVENT YOU ENTER. IF YOUR NAME IS HIGHLIGHTED IN THIS COLOR YOU ARE INVITED TO PARTICIPATE AT $65.00 PER EVENT YOU ENTER. JUST REGISTER AS NORMAL FROM THE REGISTRATION SITE NOTED ON THE HOME PAGE.